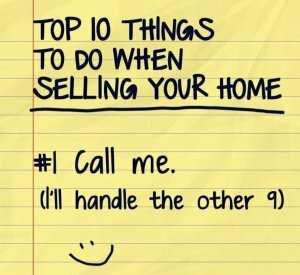 Sell My House Fast Hermosa Beach - We buy houses Hermosa Beach - The Shenbaum Group, Inc.
Jennifer can help you achieve that. We Buy Houses in Hermosa Beach and in Southern California. See How Our Process Works. We’re Ready To Make You A Fair Offer For Your House. If you want to sell your Hermosa Beach house… we’re ready to talk to you and work on a cash offer that works for you. Do You Need To Sell Your House in Hermosa Beach, California? We will buy your Hermosa Beach house. We help property owners just like you, in all kinds of situations. From divorce, foreclosure, a death of a family member, burdensome rental property, and all kinds of other situations. We buy houses in California… including Hermosa Beach and surrounding areas and pay a fair cash price, fast. Sometimes, people who own property simply have lives that are too busy to take the time to do all of the things that typically need to be done to prepare a house to sell on the market… if that describes you, just let us know about the property that’s causing you stress and sell your house fast for cash. It can be that simple. “After making the difficult decision that it was time to sell some family property we contacted Jennifer, amongst a few other parties and began soliciting offers for the property. The first thing that stuck out about Jennifer was her presence online and her verifiable track record. Selling property is no small decision or easy process so it was important that we found someone we could trust. We spoke by telephone and she came out the next day to check out the property. After doing a quick walk-through/around we sat and she spoke with us about our motivations and what we wanted to see in the contract. A big difference from what we had previously experienced with other interested parties. She left and assured us she would crunch some numbers and get us a written offer. Oh, and she said we could close in as little two weeks, with the terms we wanted. Sure enough, we received our written offer and were very happy with the terms. In the end, we OBVIOUSLY chose Jennifer over the other parties. Not just because her offer came in where we wanted or her terms were the most favorable, but because she took her time and was sensitive to the situation. Even after the sale she remained in contact and offered to help in any way she could and she did. What Will Buying An Investment Property In Hermosa Beach Really Cost you?